The list of area prep softball teams claiming regional championships Tuesday night is a lengthy one. 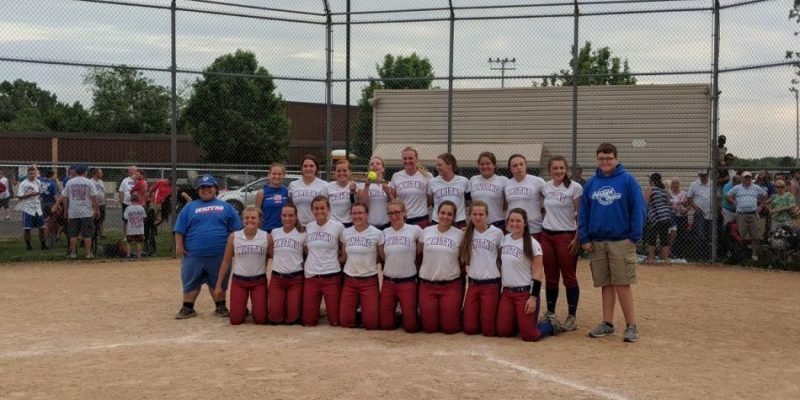 Softball squads from Whitko, Fairfield, Penn, Bremen and South Bend St. Joseph all punched their tickets to semistate appearances with victories. Whitko claimed the second regional crown in program history and the second in two years with a 3-2 home win over Western Boone in Class 2-A play. The No. 3 Wildcats got a superb pitching performance from star Ellie Snep in the victory. Snep had six strikeouts to lead the way. Freshman Madison Smith slugged a home run to pace the offense for Whitko. Augusta Garr had two singles and Reannon Hopkins had a single for the winners. Whitko, which lost in the semistate title game a year ago, advances to play No. 5 Tipton in a semistate semifinal game at 1 p.m. on Saturday at Newton Park in Lakeville. Fairfield edged past Fort Wayne Bishop Dwenger 3-2 in a Class 3-A regional tilt in Benton. Bobbie Freese had a two-run single in the fourth inning to give the Falcons a 3-0 lead. Dwenger scored both of its runs in the sixth inning. Both teams had just four hits in the contest. Sophomore Sarah Shank earned the pitching win with a nine-strikeout, no walk effort. Fairfield had lost to Dwenger 11-0 at a tournament at Mishawaka during the regular season. Shank did not pitch in that game. Fairfield, which also won regional titles in 2013 and 2016, advances to play St. Joe on Saturday at 1 p.m. in the Twin Lakes Semistate. Bellmont faces Knox in the 11 a.m. opener. Bremen blasted South Adams 18-2 in five innings in a Class 2-A game in Bremen. The No. 1 ranked Lions got a pair of homers from star Erin Coffel. The sophomore, who was the NIC MVP this season, crushed a grand slam in the win. Bremen scored five runs in the first inning and then nine more in the second frame. The Lions had 11 hits. Bremen, which improves to 24-3, lost 5-3 to South Adams in last year’s regional round. The Lions advance to play Andrean on Saturday at Newton Park in Lakeville at 11 a.m. Whitko then plays No. 5 Tipton in the second semifinal game. Penn rolled to its fifth straight regional crown with a 10-0 rout of Concord in six innings in Class 4-A play at Penn. Anna Gustafson fired a three-hitter with four strikeouts and no walks to pace Penn. Brenna Burns had two hits and three RBI and Ryleigh Langwell three hits with two doubles and two RBI for Penn. The Kingsmen have beaten Concord in three of the last five regionals, all by the 10-run rule. Penn improves to 21-6 and Concord finishes 20-5. Coach Dawn Austin’s team had just one senior in Skylarr Hartpence. Penn plays Lake Central on Saturday at 11 a.m. in the Harrison (West Lafayette) Semistate. St. Joe edged past Twin Lakes 2-1 in a Class 3-A regional contest at Newton Park in Lakeville. Sophomore star pitcher Lauren Sandor twirled a four-hit gem with 13 strikeouts and one walk to lead coach Earl Keith’s team to the title. Sandor is now 22-4 on the season in the circle. Grace Quinn went 3-4 for the Indians, who improve to 24-5. St. Joe plays Fairfield on Saturday at 1 p.m. at the Twin Lakes Semistate.